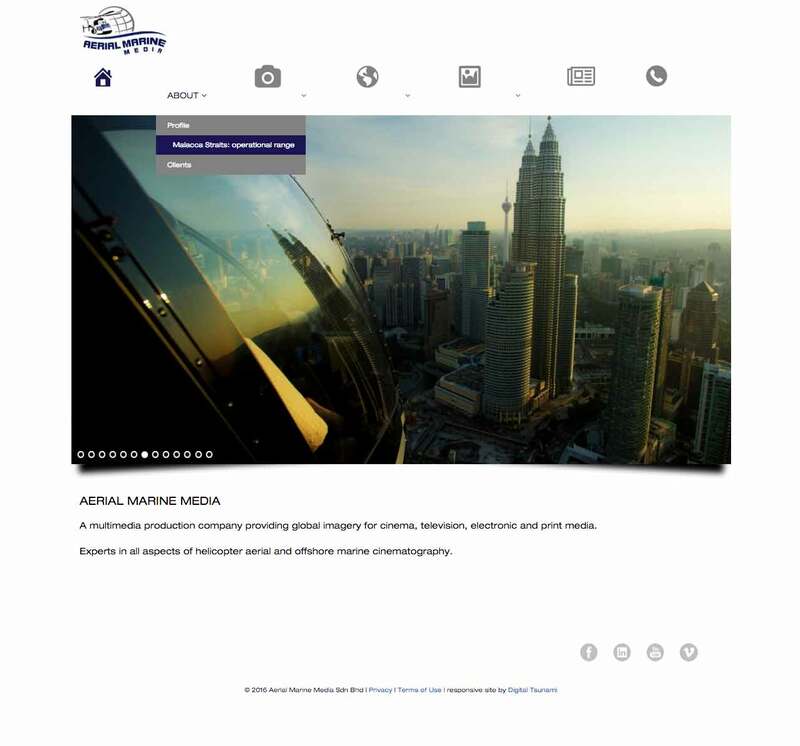 Aerial Marine Media is a multimedia production company providing visual assets for cinema, television, electronic and print media. 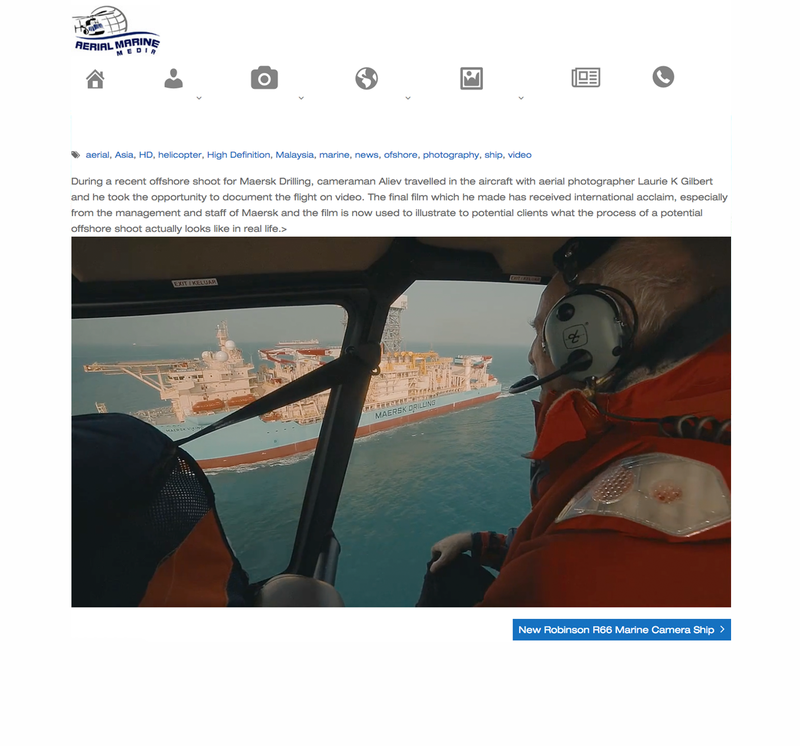 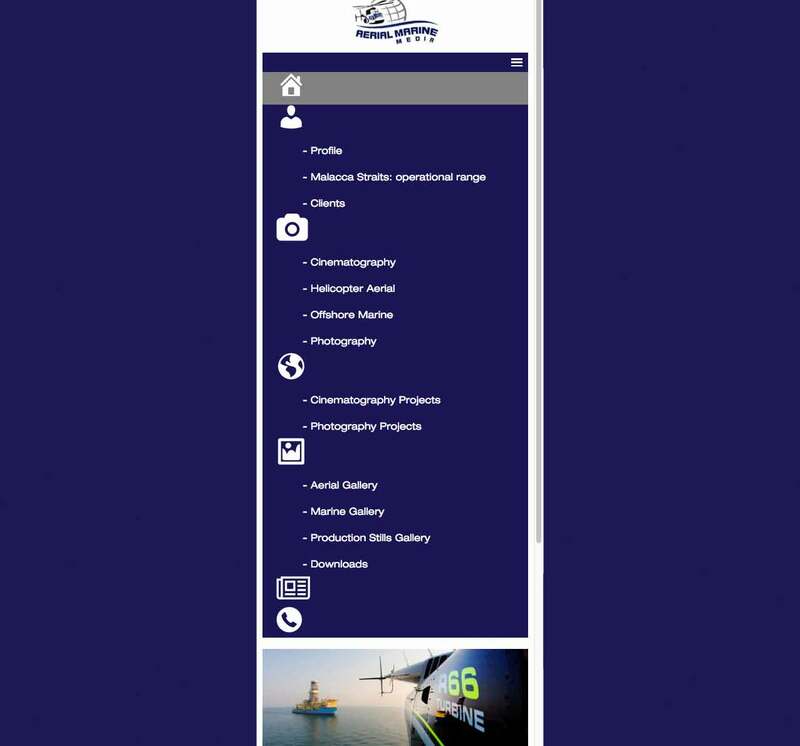 The company supplies experts in all aspects of helicopter aerial and offshore marine photography and HD cinematography. 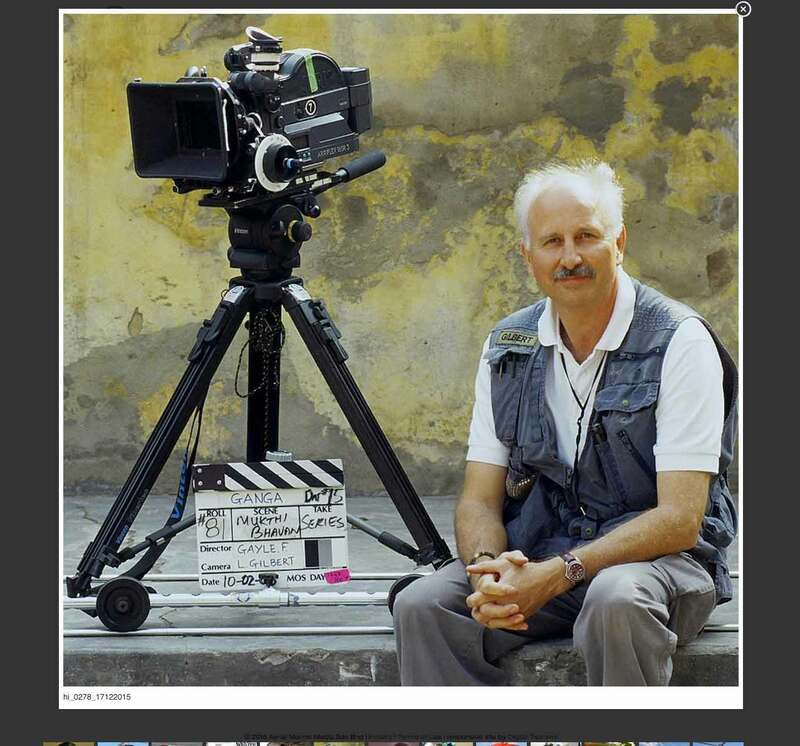 The principal; award-winning Director of Photography, Laurie K. Gilbert; has over 40 years expertise in filming from fixed and rotary wing aircraft, boats and moving vehicles for advertising, corporate, feature film and television projects. 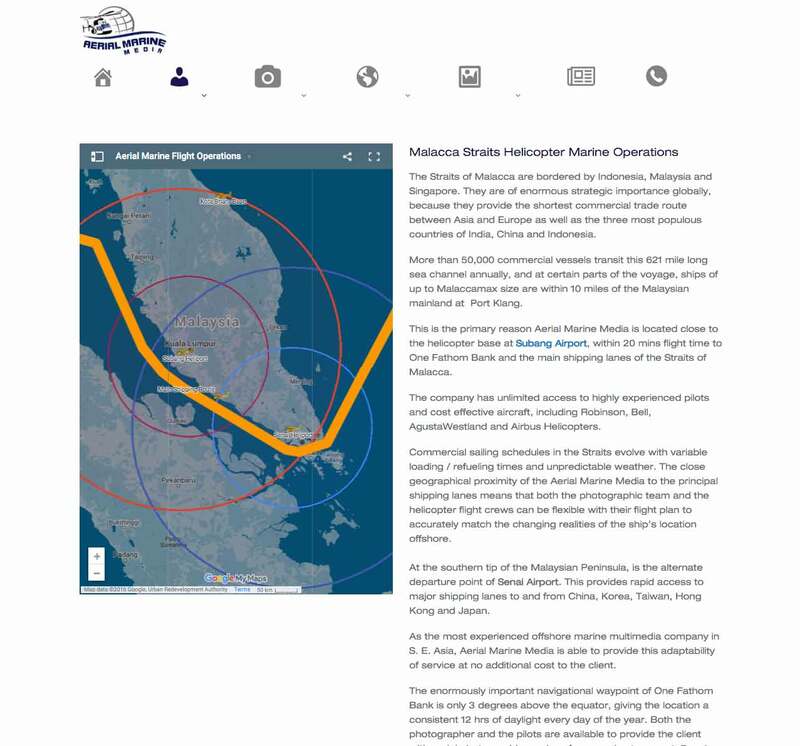 Based close to the Subang Airport in Selangor (west of Kuala Lumpur), and within easy reach of Kota Bharu (on the east coast of peninsula Malaysia) and Senai airport (just north of Singapore), Aerial Marine Media is able to operate throughout the Malacca Straits, the busiest shipping lanes in the world. 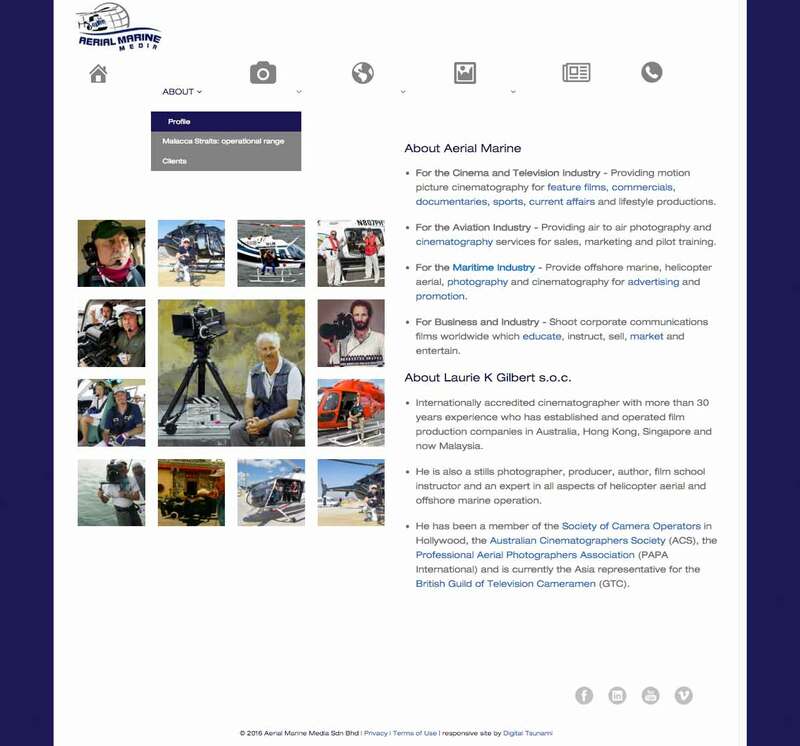 Digital Tsunami founder Andrew W Morse has collaborated with Laurie in film and video projects since 1987 and has developed his 3 previous websites. 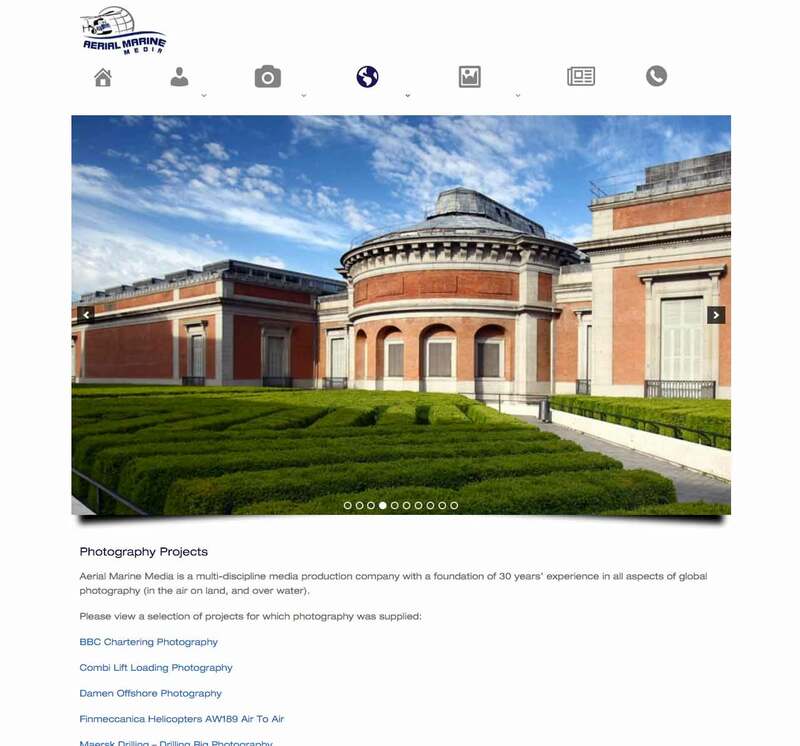 This latest responsive site showcases Laurie’s impressive body of work. 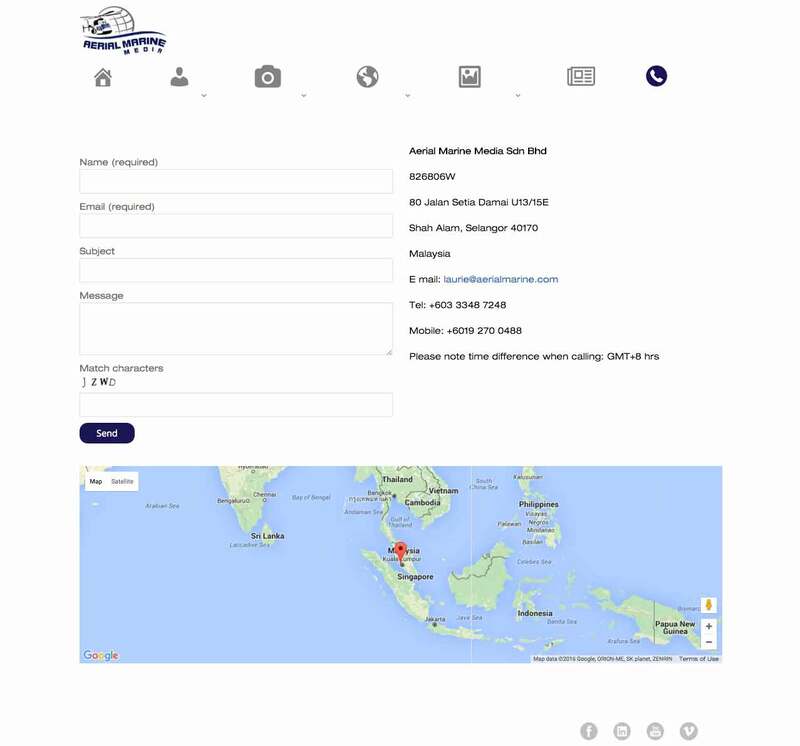 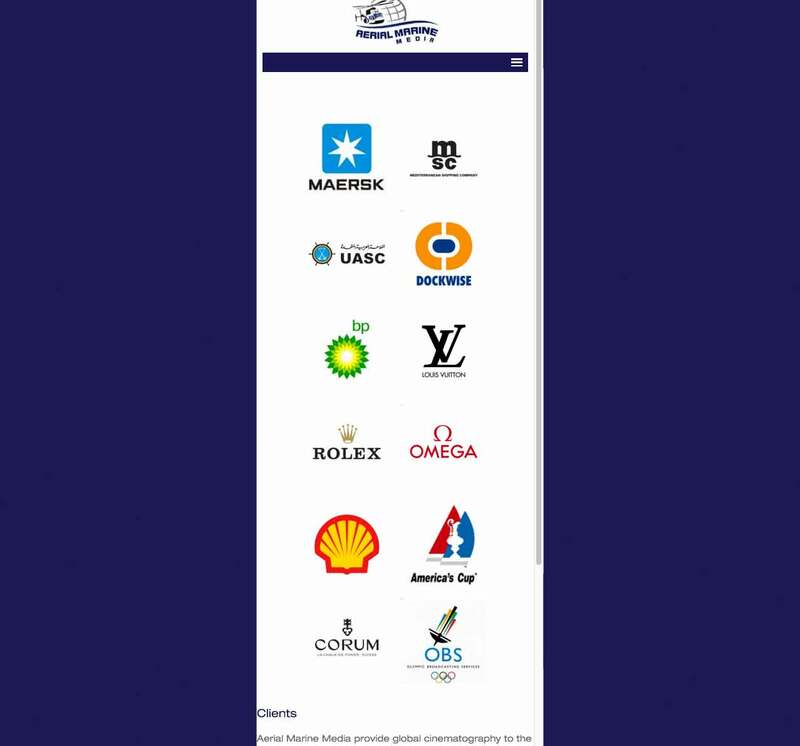 The brandline “Based in Asia. 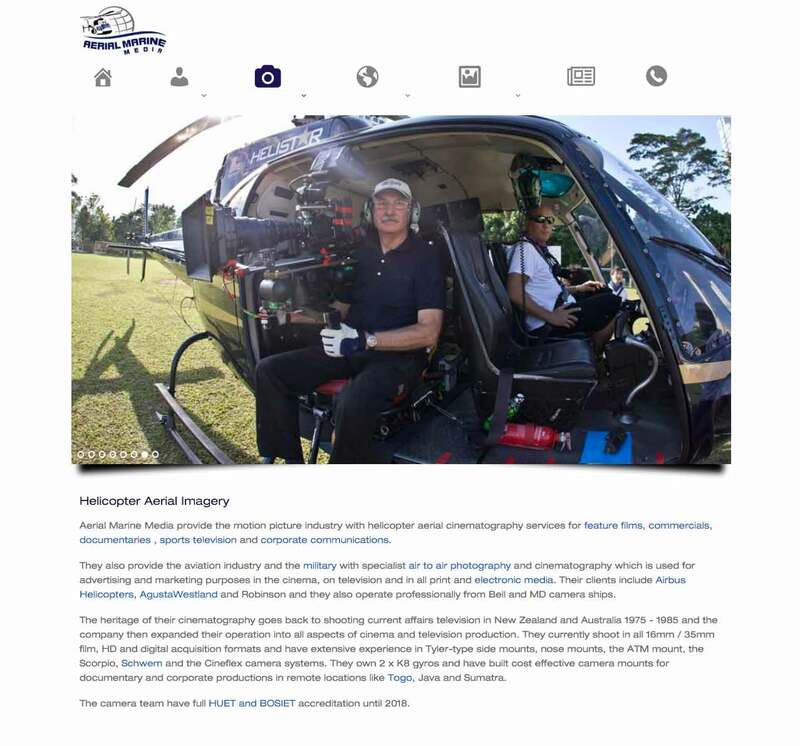 Filming the World.”, was conceived by Andrew, to reflect the professional imagery which Aerial Marine Media produces for clients around the world, on locations across the globe. 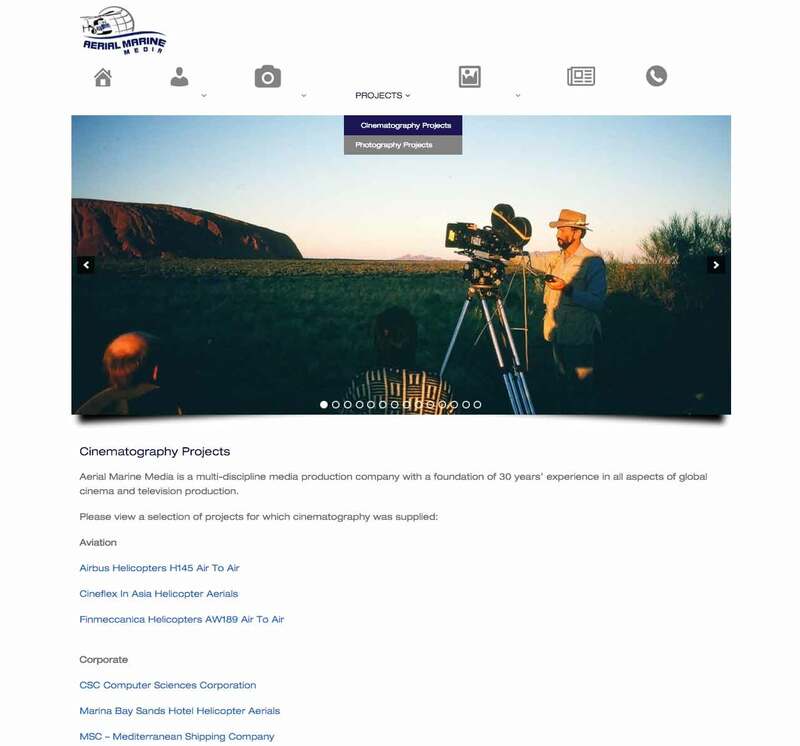 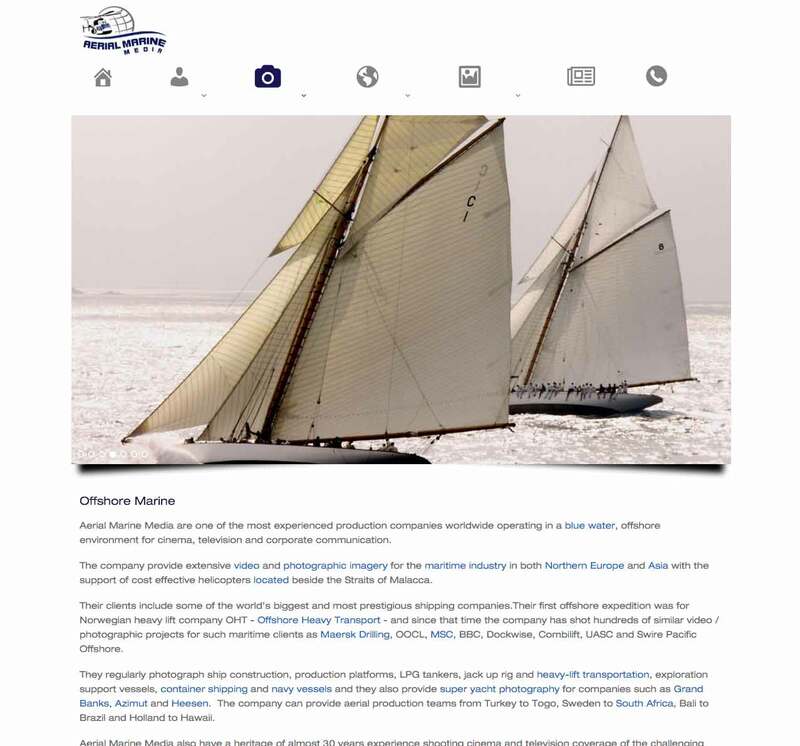 The site’s functionality includes a wealth of projects, utilising slideshows presented in shadowboxes.